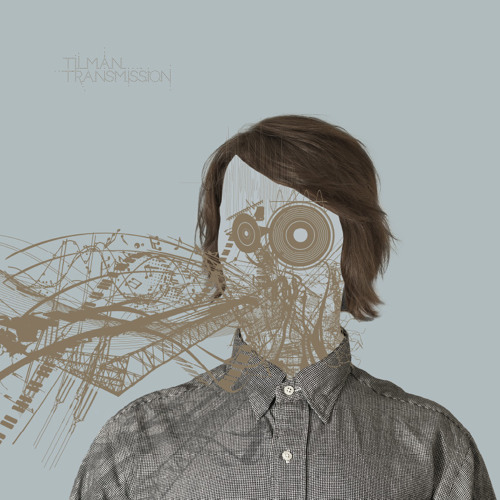 Tilman - Transmission EP (Klamauk007) Artist: Tilman Title: Transmission Cat.No: Klak 007 Format: 12’’ w/ Fullcover + Digital Release Date: 26.05.2015 Distribution: Diamond & Pearls and Finetunes Artwork: Karsten Brommenschenkel Vinyl available here: Decks Records: http://www.decks.de/t/tilman-transmission_ep/c5a-oj Juno Records: http://de.juno.co.uk/products/tilman-transmission-ep/572419-01/ Deejay: http://www.deejay.de/KLAK007_-_Tilman_-_Transmission_Ep_-_12-Vinyl__184859 Bandcamp: https://klamauk.bandcamp.com/album/transmission Redeye Records: http://www.redeyerecords.co.uk/vinyl/63748-klak-007-tilman-transmission-ep HHV.de: http://www.hhv.de/shop/de/artikel/tilman-transmission-ep-424512 Djshop: https://www.djshop.de/Vinyl-tilman-transmission-ep/ex/s~details,u~1910515,p1~vinyl/xe/details.html Lighthouse: http://lighthouserecords.jp/?pid=90344134 Underground Gallery: http://www.undergroundgallery.jp/index.php?main_page=product_info&products_id=45358 Digital available here: whatpeopleplay: www.whatpeopleplay.com/albumdetails/…ion/id/117448 Beatport: pro.beatport.com/label/klamauk/14837 Traxsource: traxsource.com/title/527218/transmission itunes: itunes.apple.com/us/album/transmi…-ep/id1044460736 Bandcamp: klamauk.bandcamp.com/album/transmission Tracklist: A1 Voyager A2 Eruption A3 Landed B1 Outer Space B2 Meteoric Hail Tilman on: Soundcloud: @tilman Facebook: https://www.facebook.com/Tilman.klamauk Klamauk are all set to reveal their second release of 2015 with this excellent offering from their very own Tilman. This 5 track EP takes in a broad ranging musical spectrum from the warm, emotive house of “Voyager” to the eerie acidic groove of “Outer Space”. The EP really shows off the prowess of Tilman’s productions who has been going from strength to strength of late and is a great addition to the Klamauk catalogue. Love the pulses in this, so lush. @aku-en: thanks a lot mate! @revy: thanks a lot bro! Comment by adriano mirabile / a.d.i. hat so viel zu entdecken in der ep! loove!